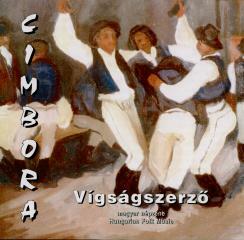 The Cimbora Folk Music Ensemble was formed in 1989. The Szemere Pál Cultural Center gives home to the ensemble. The ensemble plays original Hungarian folk music and self-processed pieces based on folk tunes. The ensemble wants to foster, develop and popularize the authentically instrumented and sung Hungarian folk music at its concerts and - presently regular - dances. Besides the zither - being the main instrument of the ensemble. - 15 other types of instruments are also sounded at their concerts. In 1995 and 1997, at the qualiflying competition the ensemble won the "Arany Páva" (Goden Peacock) award.